Aaron Wolinski - Northern Michigan DJ - Avatar Media Productions is Aaron Wolinski, Your Northern Michigan DJ for Weddings and Events. 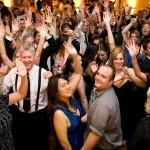 Avatar Media Productions Provides Professional Insured DJ Services for Weddings and Events. Corporate Events are a great way for employees to enjoy a relaxed setting among their colleagues. We can enhance the atmosphere of your next event. 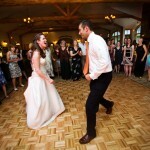 We heard from several guests that he played the best music they had ever heard at a wedding. My wife and I agree. You Really Had That Dance Floor Packed! Thanks so much for making our reception the most fun evening of our lives! while requiring a minimum amount of space and setup. Thanks so much for making our reception the most fun evening of our lives! Everyone had such a great time and we have had so many compliments on what a great party it was. You really had that dance floor packed, which is exactly what we had hoped for! I don’t think either of us could’ve imagined it being as great as it was though. Piano Man was genius! Aaron did an excellent job at our wedding, we would highly recommend him. Planning with Aaron was easy and professional, he showed up early, was organized, and had awesome equipment. He acted as a master of ceremonies but didn’t break up the music with talking when everyone was dancing. He read the crowd and had the dance floor packed from dinner until the end of the wedding. We heard from several guests that he played the best music they had ever heard at a wedding, my wife and I agree. I have had the pleasure of working with Aaron on several large group weddings at the Mission Table. As event coordinator, my relationship with outside vendors working on large events is crucial for our success. Aaron has been consistently rewarding and easy to work with. His excellent rapport with the client is evident and his choice of music and interaction with the guests is both non-intrusive and entertaining. Tim and I want to thank you for the wonderful music you played during our reception. You did a great job & everyone had a blast dancing. We will definitely refer you to more people. Thank you again! !